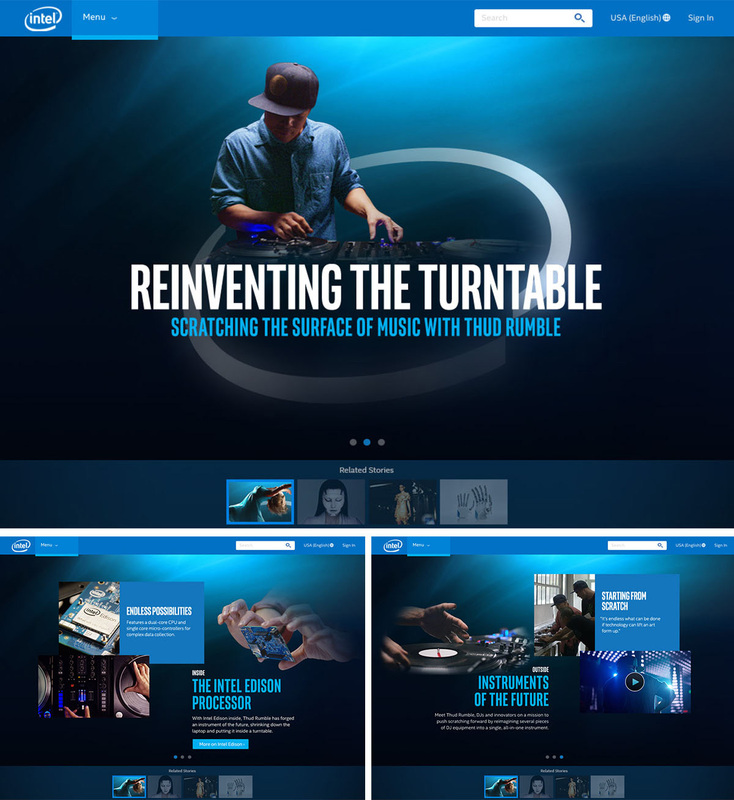 Intel's Experience Amazing campaign with the new tagline, “Amazing Experiences Outside” evolves the brand from a PC-based company to one that enables human experiences in the arts, sciences, and humanities. McGgarryBowen's Superbowl spot delivers this message in a montage that provides quick glimpses of a variety of inspirational and visually stunning story clips. 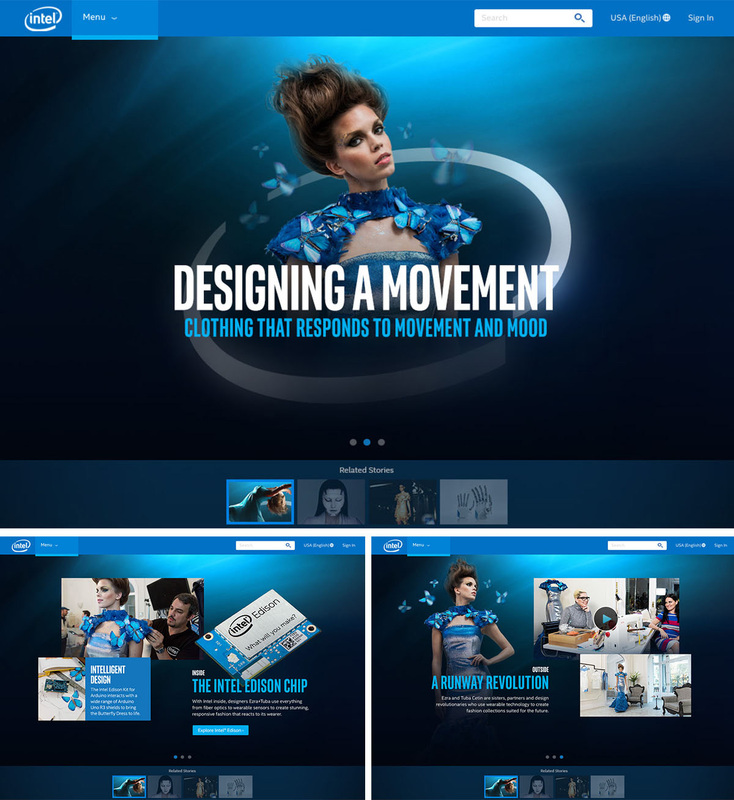 The goal with the digital landing experience is to build an online space where the audience can deep dive into the stories and connect with the brand. 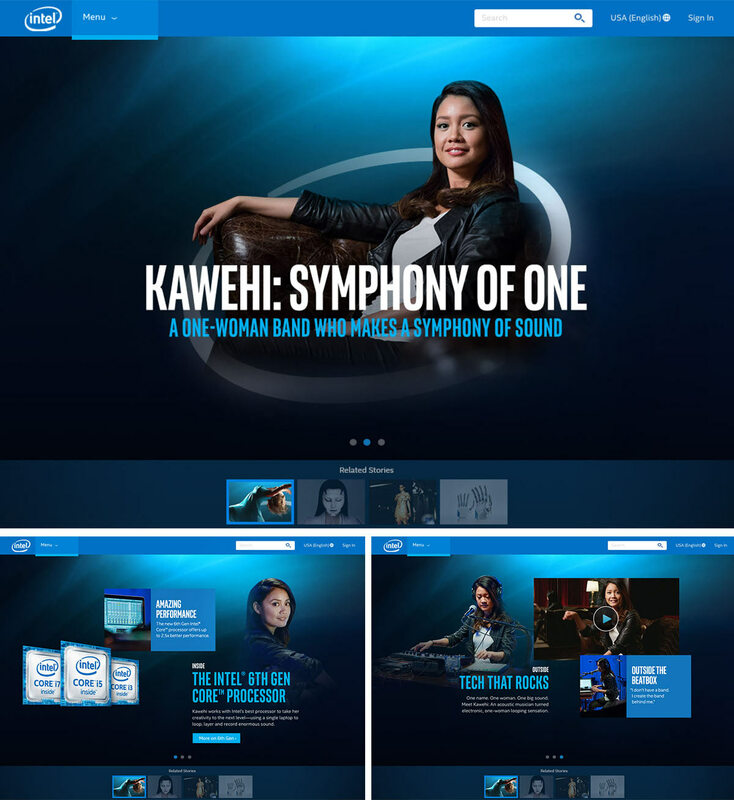 With the Anthem spot at the core, the digital landing experience delivers thought-provoking content that both entertains and educations our audience, while re-introducing the Intel brand in unexpected and delightful ways. 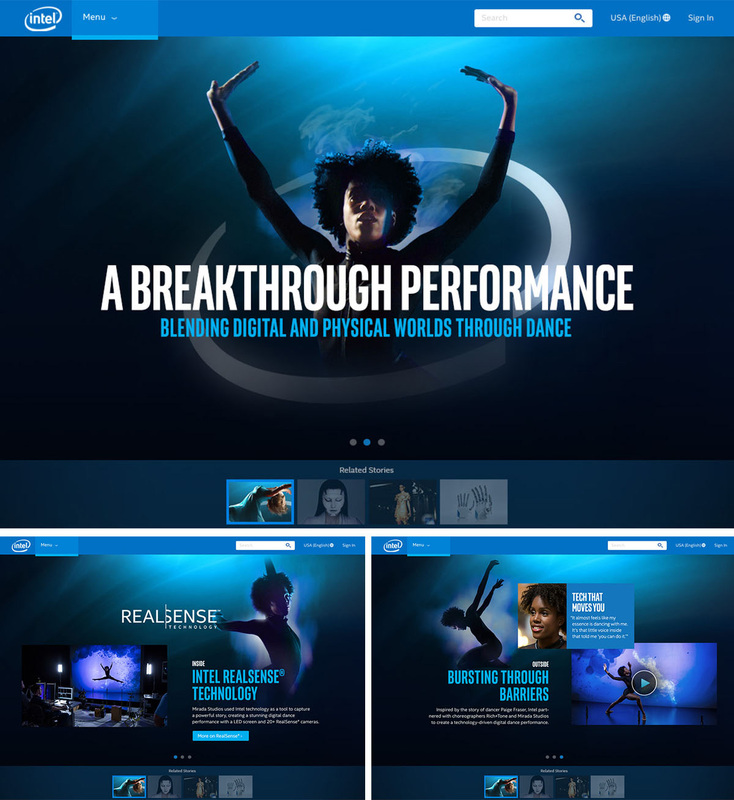 Through a series of amazing stories, the audience is introduced to the Intel technology behind the experiences. 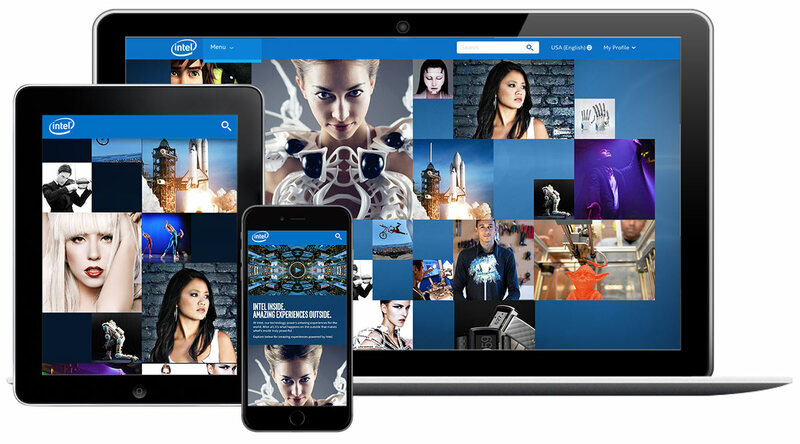 A collaborative marketing ecosystem of paid and earned media is critical for driving awareness among a digitally savvy audience. 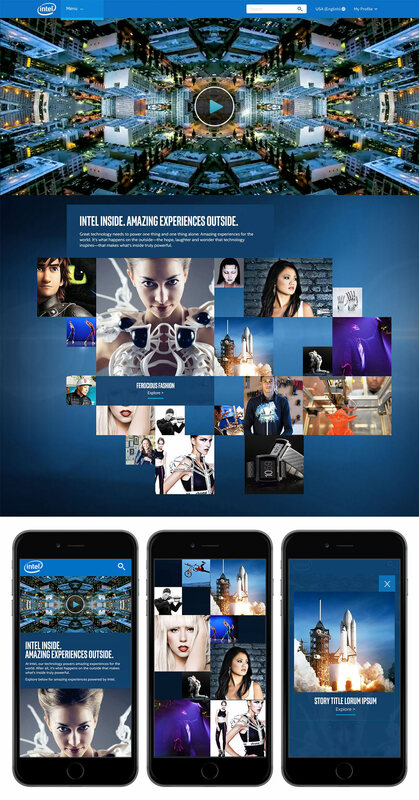 We bring each Intel story to the front of the experience within an easy to navigate, easily updatable grid. Our grid allows users to dive deeper into our stories in a simple editorial format, has the ability to hero newer or more important stories, can be populated with curated social content, and can be filtered by theme. For our hero stories, we’ll seize our chance to not only go deeper, but bring to life both sides of each story. We’ll do this by creating a 360 degree rotational deep dive into the story “inside,” and the experience it makes possible “outside”.